The first cases have been filed in connection with the Ghost Ship fire. They're on behalf of victims Michela Gregory and Griffin Madden. 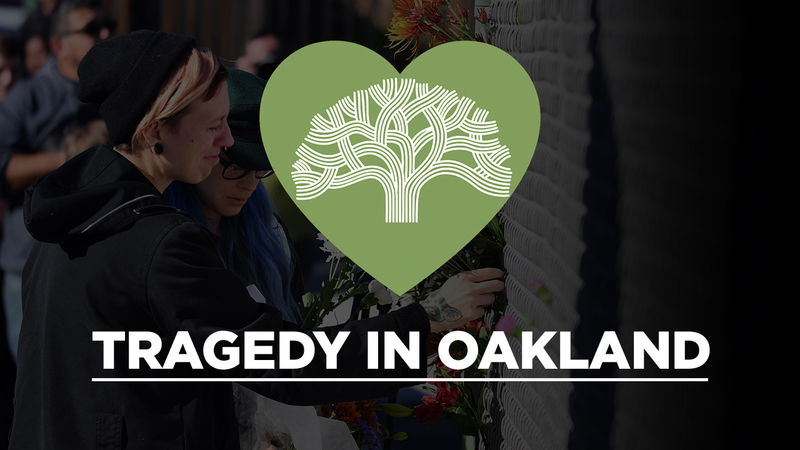 OAKLAND, CA -- The first civil lawsuits have been filed in the Oakland Ghost Ship fire that claimed 36 lives. They're on behalf of victims Michela Gregory and Griffin Madden. Michela Gregory's father is grief stricken, he says he wants justice. According to the lawsuits and claims filed today the Ghost Ship Warehouse was a "death trap." "There's not a day that goes by that we don't miss her," said David Gregory, father. Michela Gregory's father described his little girl, taken too soon. Her mother held back tears. Michela died in her boyfriend Alex Vega's arms. "They had every gift, but the gift of time," said Mary Alexander, attorney. Today, attorney Mary Alexander filed two wrongful death lawsuits on behalf of the Gregory family and Griffin Madden's family. Madden, a UC Berkeley graduate, was also killed in the Ghost Ship warehouse fire. The lawsuits name the building's owner Chor Ng and landlord Derick Ion Almena, event promoters, and neighboring landlords who according to the lawsuits were supplying electricity to the Ghost Ship. "It didn't have the permits for residences; it didn't have the permits for events. There was no fire alarms, no sprinklers, no good egress or way to exit," said Alexander. Outside the Ghost Ship, also known as Satya Yuga, a memorial continues to grow. Heidi Romero says Almena had a way of connecting with the people he rented space to. "The last thing anybody should do is punish him for loving these people when they needed it," said Romero. The Gregory's say those named should be held accountable. "We will never see them again and we just want justice," said Gregory. The attorney for the two families also filed claims against the City of Oakland and Alameda County. The city says it does not comment on pending litigation. Attorneys for the building's owner and landlord did not respond to requests for comment.